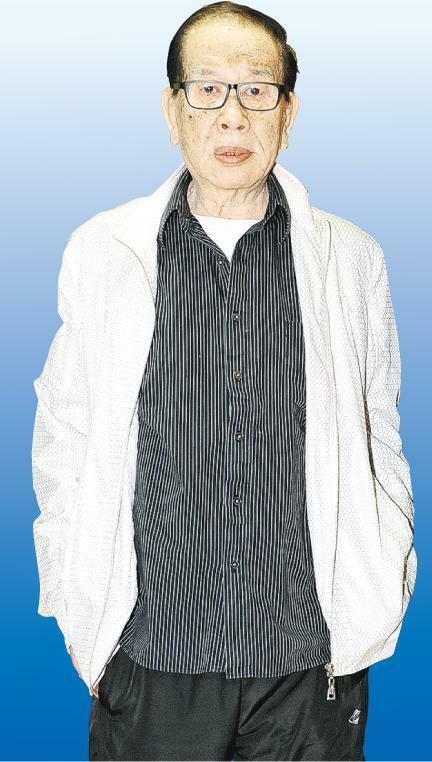 The 81 year old TVB makeup master Chan Man Fai was rumored to be seriously ill with lung cancer in July. His family arranged for him to recover at a nursing home and receive Chinese medicine therapy. Last night his son Chan Chi Tan sent text messages to family and friends to inform them that Brother Fai passed away at 8:15 PM peacefully and had no pain. He thanked everyone for their love for Brother Fai. Chan Chi Tat praised Brother Fai as a responsible and good father, a legend and he was proud of his Papa. Chan Man Fai joined the business at age 17 as a makeup apprentice. At the end of the 60s he joined TVB and worked there for 37 years. He was the top makeup artist; after retirement in 2004 he served as a cosmetic instructor and operated a makeup business. 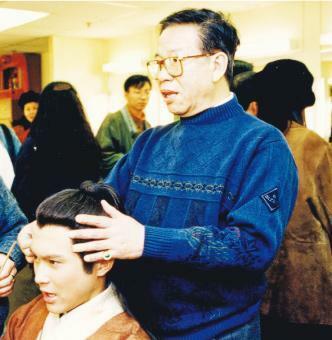 His son Chan Chi Tat also became a makeup artist under his tutelage. Brother Fai in June learned that he had lung cancer. After fighting for over four months he unfortunately passed away on the Mid Autumn night last night. In March Chan Man Fai attended Chung King Fai's 80th birthday banquet and looked good; in July suddenly he was rumored to have lung cancer. Chan Chi Tat at the time confirmed the rumor. Chan Man Fai started smoking since he was young. Chan Chi Tat revealed that Papa at first had chest pains and went to the hospital two or three times. Due to Chan Man Fai's age, chemotherapy would be very difficult. His family arranged for him to receive Chinese medicine therapy. Chan Chi Tat said that when Papa passed, his family was by his side. Papa went very peacefully and was not in pain. He said that Papa was in pain for awhile, recently his condition deteriorated and the family was mentally prepared. They did not dare to take half a step away. As for Brother Fai's final wish, Chan Chi Tat said that Papa missed his children and grandchildren the most. He comforted him and told him not to worry. As for the funeral arrangement, he would wait until his aunt's return to Hong Kong today to discuss further. He praised Brother Fai as a very responsible and good father. His professionalism influenced him a lot. He even learned the makeup trade from him, but he was far from his father's achievements. He has always been proud of his father. Many artists have worked with Chan Man Fai. Las night Nancy Sit Ka Yin said that she was very saddened. She recalled that when she was a child star she was sleepy during the shoot. Brother Fai had to prop up her chin to apply makeup on her. She said, "Brother Fai made a lot of contributions to film and television makeup. His makeup designs were very detailed." Ruco Chan Chin Pang and Lee Shan Shan eulogized him online. Lee Shan Shan wrote, "In the past I have seen his dignified side and also always come in contact with his humorous and joyous side. Brother Fai, during our days at the television station, thank you for your care during the pageant and when I officially joined the business. Miss you always, our makeup master Mr. Chan Ma Fai."